Today’s post is very close to my heart, a post about how excuses keep us down, and how none of us have any right (or room) to harbor excuses in our life. A week and a half ago a group of us embarked on a journey to the WKA Championships, my husband Sifu Anderson, the other Anderson’s instructors and I as coaches and training partners, and the other group as fighters and competitors. This is not my first year joining an Anderson’s team on the road to compete. It is however one of my favorite weekends, as I truly love watching each of our students reach towards their dreams. However, this trip was a little closer to my heart as both Jenel Stevens, one of my closest friends and Alex Zulnova, another close friend and training partner were headed to compete in Muay Thai. Our story starts here… you see both women, for different reasons had set for themselves the goal of competing. But neither are full time fighters. Both women have day jobs, very hectic schedules, families, social events and life! 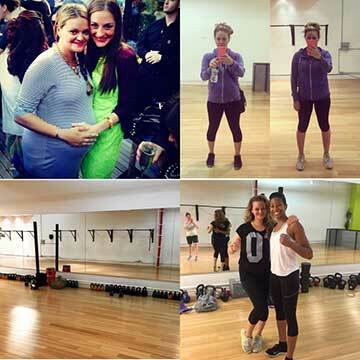 They also make time to teach KB classes, join me on my projects, maintain their friendships and other goals. I will say that when they fought, my heart was filled with joy for each of them. Not because they won their fights. No, my heart was filed with joy because they both set goals, committed and accomplished. And that is the best feeling you can ever have. I am sure they will agree that the reward was not as much the medal, (or size 4 jeans, or looking great at your reunion) the true reward was the things they learned about themselves along the way. Most often it is the person your journey makes you that becomes the greatest reward of all; stronger, smarter, focused, confident, committed, inspired. So the end of our story is simple, both women competed and both women won all three of their fights to take home the WKA gold. But their biggest accomplishment was that they kept a commitment to themselves. No one will ever be able to that that away from them. So, I ask you, set a goal. Set a goal and go for it! I promise you’ll find something amazing along the way. More women that set goals and reached beyond them! 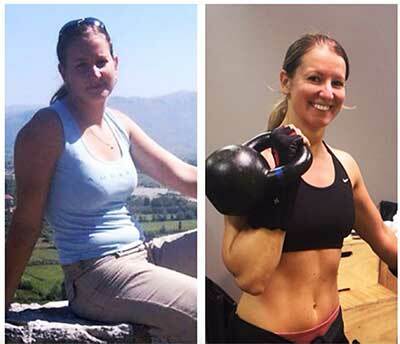 Ewa moved to a new city, took on a new job, and it seemed like getting back in shape was the last thing she had time for, however she lost over 35 pounds on her Kettlebell Kickboxing journey! 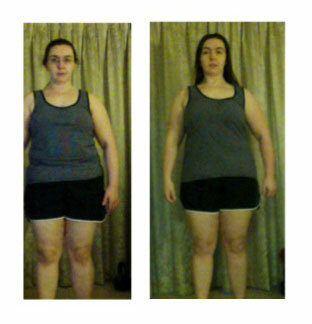 In our most recent success story this month, Hope Lyman emailed us, while she is not ready to give her before & afters, she committed to the 60 Day Body Series program and lost 4 inches & 11 pounds of fat! And just look at the rest of you guys! Let’s make this next week great! Stay training and stay focused!